Posted on November 12, 2013, in Cooking/Baking/Food/Recipes, Dairy-free, GFCF, GFCF Recipes, gluten-free, Herder-gatherer Paleo Diet, Holidays, Low-carb, Thanksgiving. Bookmark the permalink. 2 Comments. Hmm… I know I’d love this (I’m really the only winter squash fan in the house), and I have almost all of the ingredients on hand. I only have 1 shallot though, and no fresh sage. 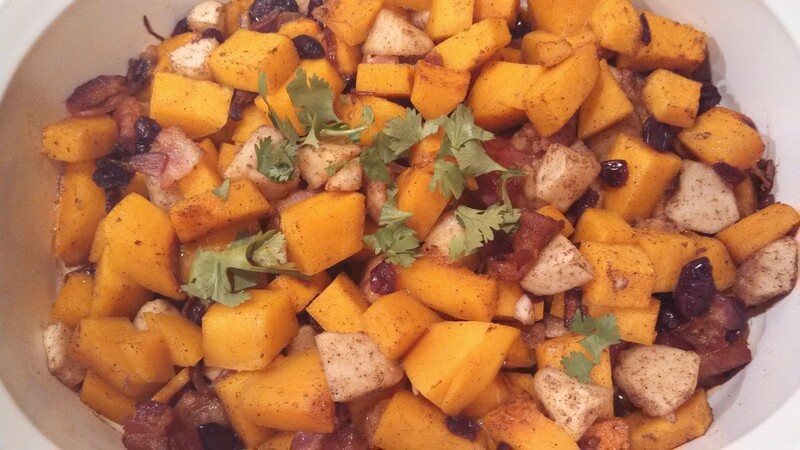 Cindy, my husband is not a fan of winter squash, and he loves this!! He said, “You know how to get me to eat my veggies.” Douse them in bacon fat, I guess! !